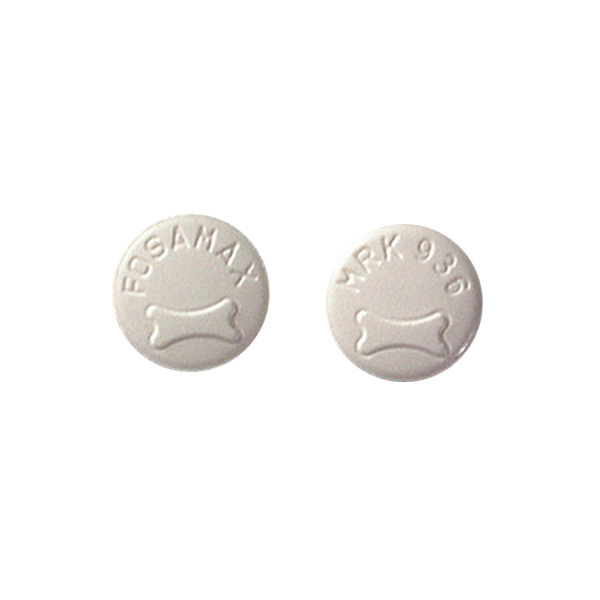 Stop taking fosamax if you experience any of the following serious side effects: an allergic reaction (difficulty breathing; closing of the throat; swelling of the lips, tongue, or face; or hives). Seek emergency or talk to your doctor if you have a difficulty or pain when swallowing; chest pain; pain or burning under the ribs or in the back; or new or worsening heartburn. Other, less serious side effects may be more likely to occur. Continue to take Fosamax and talk to your doctor if you experience abdominal discomfort; stomach upset, nausea, vomiting, diarrhea, or constipation; headache; muscle, bone, or joint soreness or aches; eye pain; a rash; or an altered sense of taste. Side effects other than those listed here may also occur. Talk to your doctor about any side effect that seems unusual or that is especially bothersome. Stop taking alendronate and seek emergency medical attention or contact your doctor immediately if you experience any of the following serious side effects: an allergic reaction (difficulty breathing; closing of the throat; swelling of the lips, tongue, or face; or hives); difficulty or pain when swallowing; chest pain; pain or burning under the ribs or in the back; or new or worsening heartburn. Other, less serious side effects may be more likely to occur. Continue to take alendronate and talk to your doctor if you experience abdominal discomfort; stomach upset, nausea, vomiting, diarrhea, or constipation; headache; muscle, bone, or joint soreness or aches; eye pain; a rash. Side effects other than those listed here may also occur. Talk to your doctor about any side effect that seems unusual or that is especially bothersome.